Simple cafe in the Nerd building. 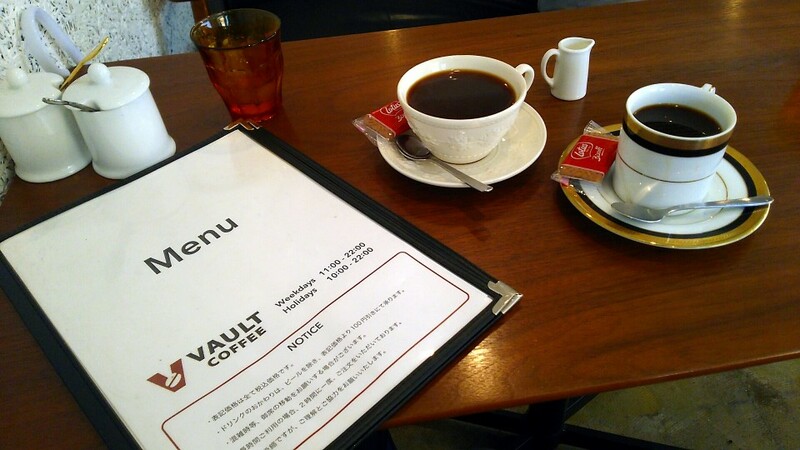 I tried the cafe in Akihabara that I had wanted to go for a long time. But Akihabara is unfamiliar to me because I’m not interested in electrical appliances and nerd culture at all. 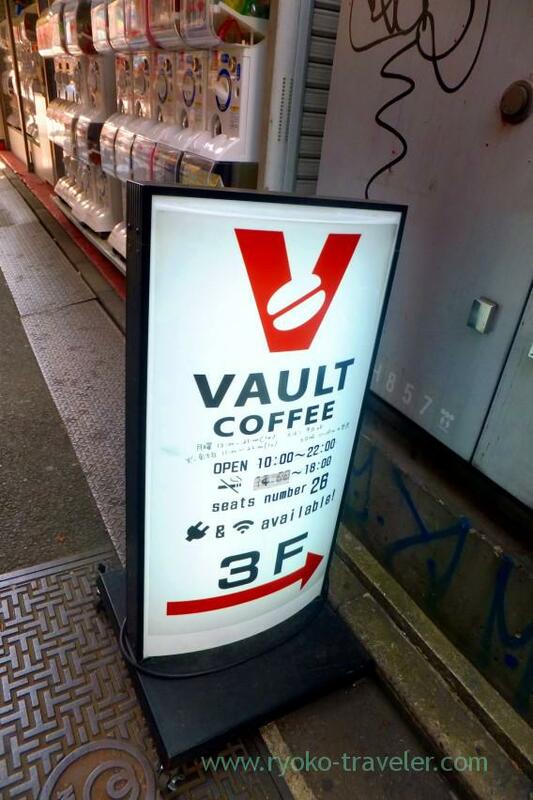 Vault Coffee is on the 3rd floor of this small building. 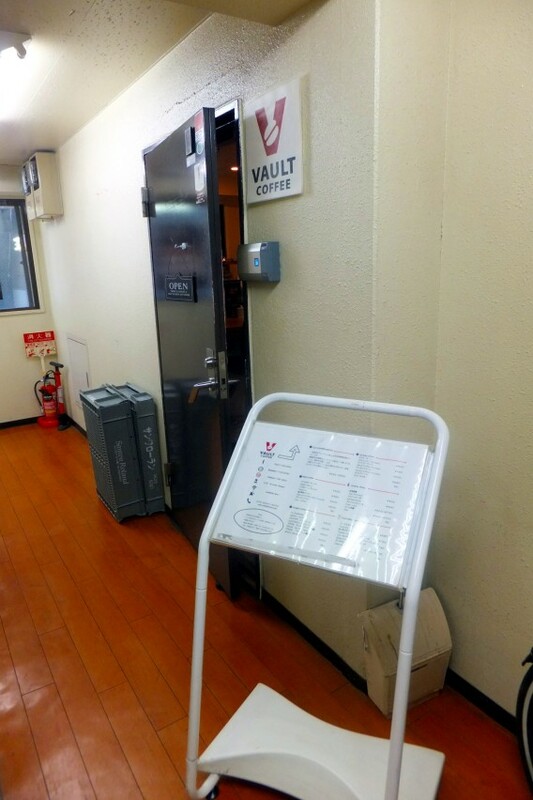 Only this signboard tell you that there’s cafe in the building. 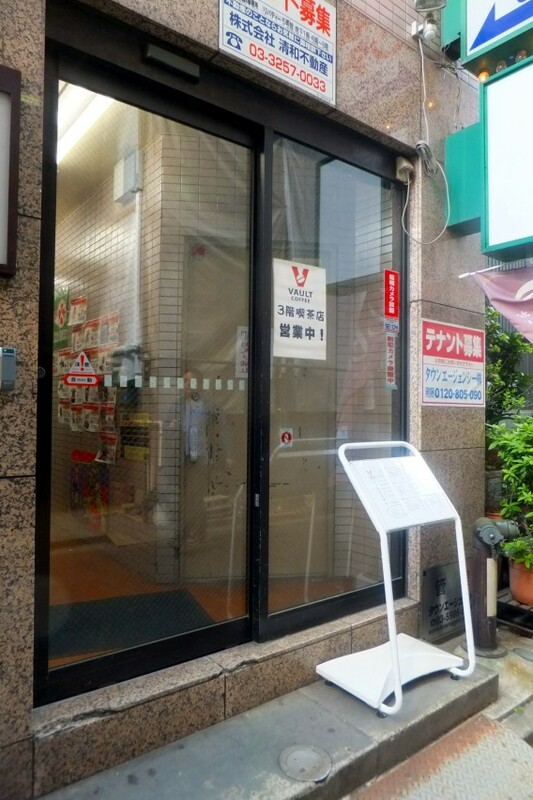 But once you open the door, such a cozy cafe welcome you. 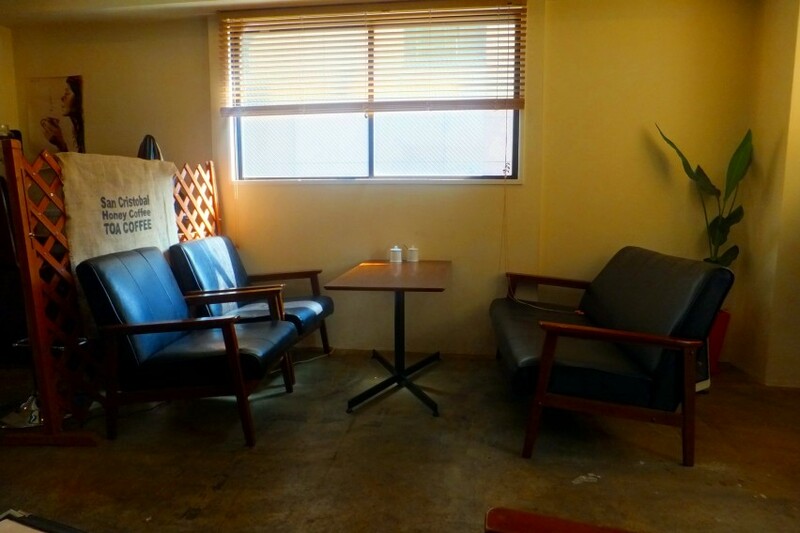 There’re counter seats close to the door annd two tables are at the back of the cafe. You can use Wifi and AC power outlet by free of charge. They are open until late night and have light meals like sandwiches. So, you can use this shop at any time. There’re many delicious curry shops. So, it’s good to have break after lunch and dinner.